The UCSD men’s and women’s crew squads had a solid outing in Mission Bay this past Sunday at the 14th annual Row for the Cure, a charity regatta dedicated to raising funds for the fight against breast cancer. 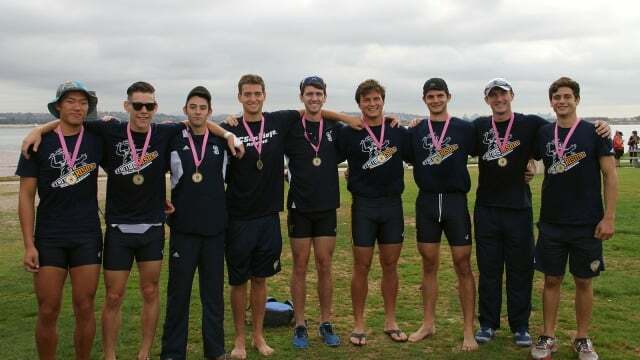 For the UCSD crew program, the Row for the Cure event marks the start of the 2013–14 season. The Tritons hosted Loyola Marymount University, Orange Coast College, San Diego State University, UCLA and UCSD. The UCSD men emerged victorious in both of their races for the day, taking first place in the Open 8 and the Open 4 in dominating fashion. The Tritons crossed the finish line for the Open 8 at 11:43. Second place Orange Coast College (11:51) followed eight seconds behind while the two UCLA boats placed in third and fourth, at 11:55 and 13:09, respectively. UCSD was able to make the podium for the Open 4 in similar fashion, finishing first in 12:57 with a comfortable seven second lead. Orange Coast again came in second (13:04) while UCLA finished at third (13:07). The women’s crew faced tougher competition but was still able to place third in the Open 4 with a finishing time of 15:17, behind the two boats of San Diego State (14:19, 14:23). For the women’s Open 8, it was again San Diego State University that came out on top, with a time of 12:42. The Tritons, on the other hand, had three boats, finishing sixth (13:40) seventh (13:42) and ninth (14:33). UCSD is not back in action until Nov. 9 when the team returns to Mission Bay for the annual San Diego Fall Classic, which will be the last time the Tritons will hit the water until March 2015. 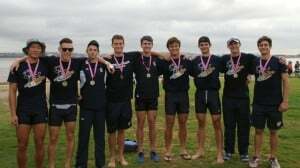 UCSD hopes to build on its successful outing last year at the Fall Classic, during which the men placed first in the Open 8+ and the Open Novice 8+.